One of the things that keeps the sixties era of Doctor Who so appealing is how each story was completely different from whatever had preceded it. The Invasion is a great example of this, the previous story, The Mind Robber was fantastical and dipped the toes of the show into the fantasy genre by messing about with reality. It must have been a little strange for sixties audiences to go from that kind of adventure to the gritty, urban thriller that is The Invasion. 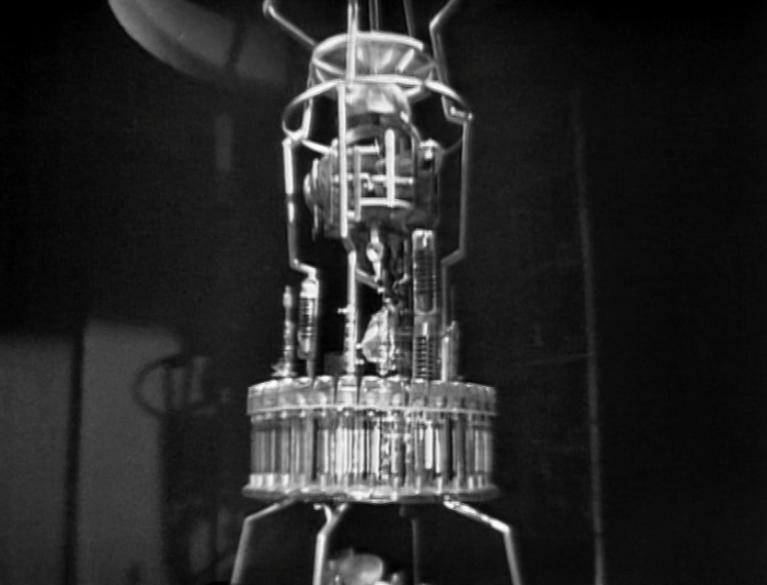 In a way The Invasion was a look into the future of the show, as it wouldn't be too long after this story that the Doctor would find himself exiled to Earth and joining UNIT, it is essentially a trial run of the formula that would forever change Doctor Who for the better and it really works. It is also fitting that the monsters in this story should be the Cybermen, their final appearance until 1975 when they returned alongside Tom Baker in Revenge of the Cybermen. 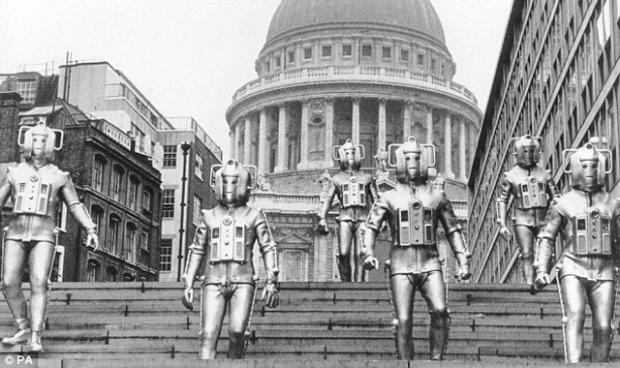 The Invasion is one those Doctor Who stories that were spread across a number of episodes because of production problems. Clocking in at eight episodes in total, it is longer than the seven part episodes that filled the first series with Jon Pertwee and is up there with The Dalek's Master Plan and Trial of a Timelord in terms of story length. It is because of this that I will splitting this review, episodes 1-4 will be reviewed here and 5-8 will be in a second review, a second episode if you like! However, it is the story's length that is it's biggest flaw. I wasn't bored once during the first four episodes but after that it becomes more of a running around, changing location and dragged out scenes with one group of characters accidently missing the other group, that really start to let this classic story down. I think that a really ruthless edit of the script was really what this story needed to cut these scenes down and still get the great story that is in there across to the audience. Also watching this story as if it were two feature length movies allows us to see how long the story was dragged out before the Cybermen eventually appear. There are clues beforehand especially from the Doctor who grows more and more impatient with technology and he tells an automated answering machine to shut up and go away at one point. But it's not until the final five or so seconds at the end of episode 4 that the Cybermen finally turn up. I suppose we can find solace in that they have a heavier presence in the second half of the story. The first half of this story is dominated by a human villain, a man called Tobias Vaughn who is a ruthless and mysterious head of companion International Electromatics who playing a very dangerous game. He is working with the Cybermen but also developing weapons that will destroy them using emotions so that he can fill the void left by the monsters and take over the world. Actor Kevin Stoney played an equally conniving character called Mavic Chen in The Dalek's Master Plan which also featured the Brigadier's actor, Nicholas Courtney. Here Vaughn puts a human face on the danger his robotic partners represent and in some way ends up being more sinister than the Cybermen. Had any other actor been given the role of Vaughn, I think the show wouldn't have been as interesting, you don't mind the slightly over-stretched plot here with Kevin Stoney, who makes every scene enjoyable to watch, you truly believe he is a mad man. Vaughn's overbearing arrogance and unexpected rages would have made him a perfect Bond villain. No doubt, the writer had a number of other megalomaniacs in mind when he created this character, who lives in a neatly furnished office while his gun totting goons run around in the lower levels defending his secret base. Whereas one famous megalomaniac would have kept a bottle of whisky and poisoned blow darts, Vaughn's office is so neat it is almost at the same level as one who has some sort of obsessive compulsive disorder. 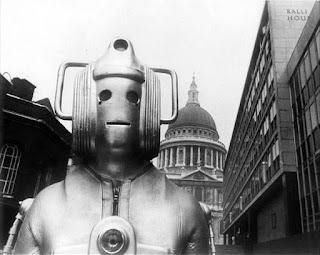 He appears to be almost half-Cyberman already. As well as acting like a megalomaniac, Vaughn also has some disturbing traits, he doesn't blink as often as he should, the Doctor points out and he likes to give out assignments with ruthless deadlines. But it is his office itself that suggest he is already half way to becoming a Cybermen, we see a second office later in the story which Vaughn describes as "the very essence of business efficiency." Of course, it is obvious to us watching that it was just a way for the production crew to save some money but it also allows us a glimpse into his cold and mechanical mind. Instead of his blow darts, Vaughn keeps a secret piece of alien technology hidden away behind a fake wall. This is the Cyber-Planner with which he, well, plans their attacks. 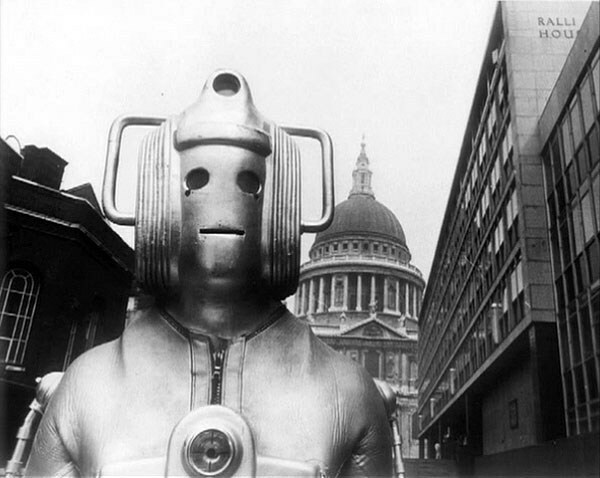 It is his direct like to the Cybermen and even though it's robotic voice sounds like theirs their identity is kept secret after all the creatures in Ambassadors of Death also sounded like Cybermen. All the audience get from this machine is that it thinks itself superior to Vaughn something which the human rejects whenever he closes the secret wall when it is still talking.